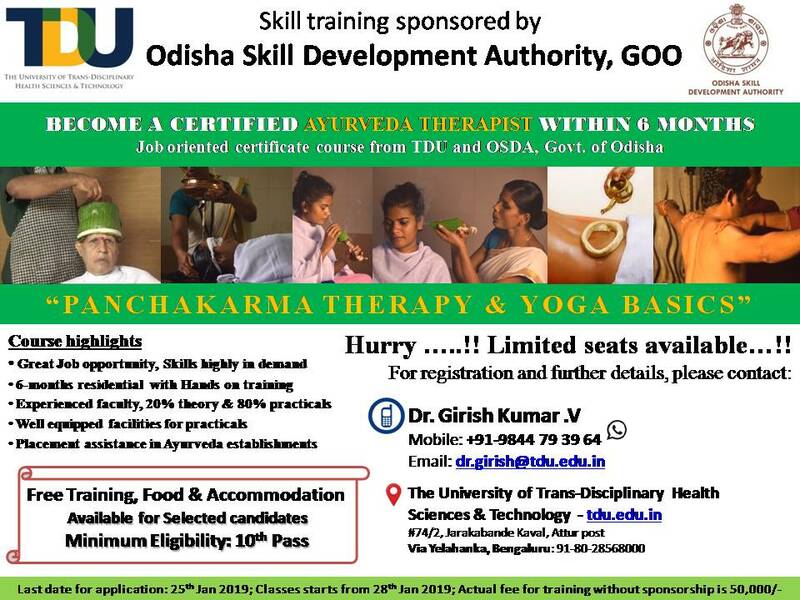 Become a certified Ayurveda Therapist within 6 months! 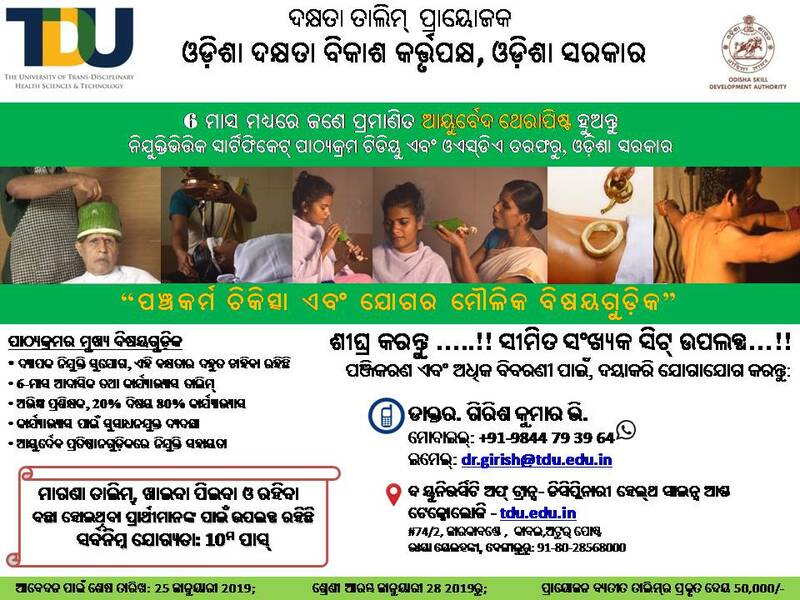 Job-oriented certificate course from TDU and OSDA, Govt. of Odisha! FREE TRAINING, FOOD and ACCOMMODATION for selected students! #74/2, Jarakabande Kaval, Post Attur via Yelahanka, Bangalore – 560064.